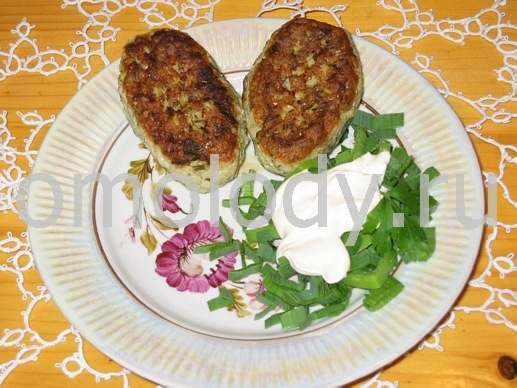 Fish with leek cutlets, fish recipes. 2. Form cutlets from this mixture. 3. Roll them in the bread crumbs coating them completely. 4. Pour the 7 - 10 tablespoons of oil into large skillet over a low heat. Place over a medium- high heat and when hot fry the cutlets for approx. 5 - 7 minutes per side or until done to suit your taste. 5. Serve with mashed potatoes and chopped greenery with cream.